Presiding over a glorious stretch of first class riverfront, Banc is a new destination for elite living. With most levels hosting just two or three layouts, all with floor-to-ceiling glass sliders, dramatic 2.75 metre ceilings, and full-sized balconies, broad panoramic views of the Brisbane River stretch from each of Banc’s 33 residences. Cloaked in the finest quality materials and inclusions, Banc residences never stop short in attention to detail. 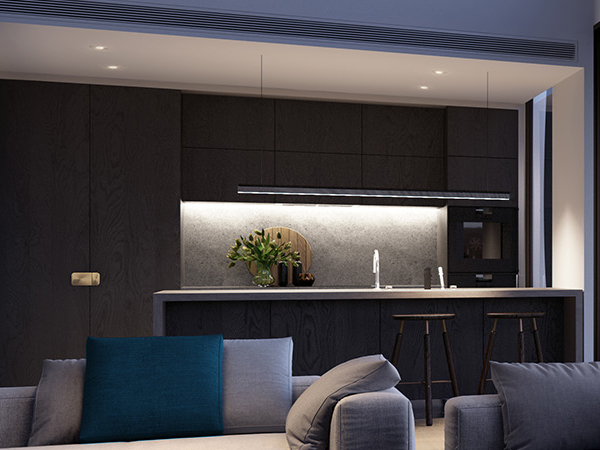 Gourmet kitchens are fitted with premium features including travertine benchtops, a suite of Gaggenau appliances, integrated Liebherr fridge & freezer, and an adjoining butlers pantry, while the expansive outdoor balconies come standard with a built-in barbecue and wine fridge. 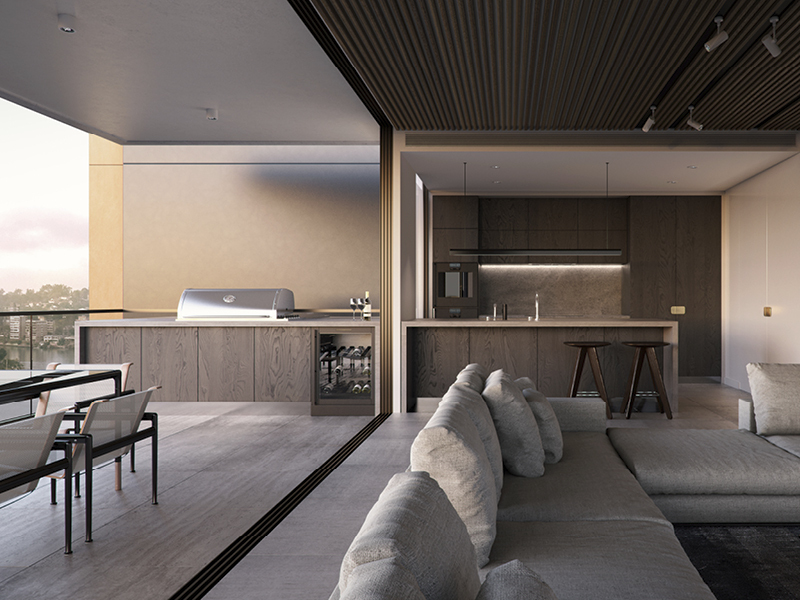 An elegant design statement of grand flourishes and graceful proportions, Banc’s three and five bedroom residences cast an evocative presence over the Brisbane landscape. Experience the elite privacy of Banc's Sky Mansion. The presidential-styled residence offers an extraordinary 194sqm of floor space, with a private priority lift, 3 bedrooms, 2 living rooms and a balcony – offering stunning, uninterrupted views of the city skyline. Find peace in total seclusion – at home in unrestrained luxury. Update: All Banc Sky Mansions have now sold. Limited Sky Homes are still available. Banc’s pivotal waterfront position bestows a sublime lifestyle experience abundant with local delights. Award winning and much-loved Regatta Hotel is the perfect destination for private dining and cocktails, while the diverse selection of restaurants and cafés along Park Road ignite your love affair with international cuisine. Banc’s enviable location grants residents the ease of immediate access to Brisbane City and major city-fringe suburbs of Toowong, Indooroopilly and Milton. From here, residents can admire scenic river vistas as they walk along the Bicentennial Bikeway, or enjoy the convenience afforded with living only 500 metres from Toowong Village Shopping Centre. Banc residents need not venture far to indulge in a richer lifestyle experience.